Offices waste a phenomenal amount of energy. Computers, lighting, copiers and other office equipment is often left on all day. This not only damages the environment, but significantly increases monthly outgoings. There are plenty of ways to make the office space more energy efficient; however, managing a whole team of people and trying to keep them motivated about energy efficiency can be very difficult. These three techniques are easy to implement; will inspire your workforce; and save you a huge amount of cash over time. Comfort is the most important element of retaining a good level of employee morale. An uncomfortable workforce will lead to unhappy employees and reduce productivity by roughly 30%. The simple addition of air conditioning will create a more relaxing work environment, which will almost certainly reflect positively in your employees. With regards to energy bills, there’s a common misconception that air conditioning will cost more; however, that’s simply not the case. Macair state that a decent HVAC system can reduce energy bills and carbon emissions by up to 15%. 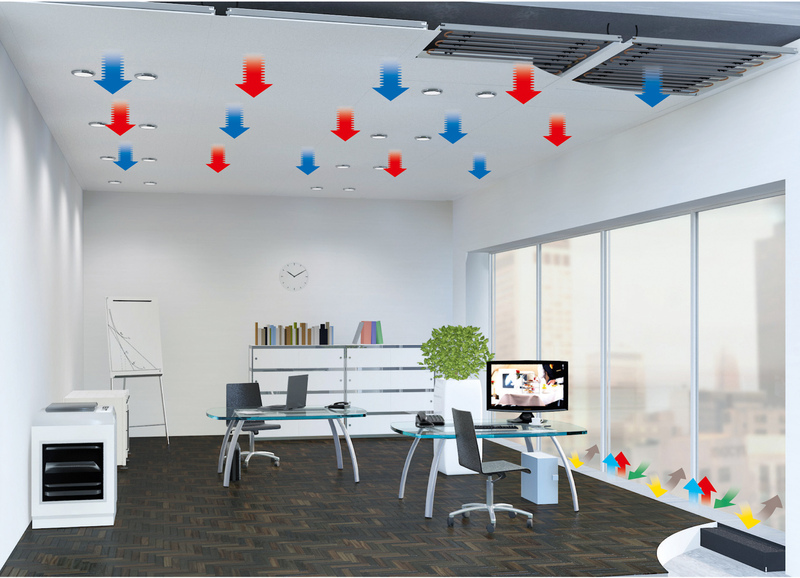 Programmable thermostats will retain a constant temperature and ensure you don’t waste excess energy over-cooling or over-heating your workspace. In most office spaces computers are left on all day and all night; apart from on weekends. Turning off the monitor won’t cut it. At the very least turn off computers during the night. If possible, tell your staff to turn off their computers if they won’t be in use for an extended period of time – during lunch breaks and meetings, etc. Electricity is without a doubt the largest office expense in the billing department, yet most bosses won’t bat an eyelid when they see computers and monitors left on when they’re not in use. In addition to turning off computers, tell your employees to turn of lights and other office equipment when they leave a room. If you need help inspiring your workforce, give them some kind of incentive program. For example, set a quota and use some of the saved cash to buy them treats, such as a box of morning donuts. Installing decent lighting is vital. Wherever possible use natural sunlight. If you lack windows, ceiling lights or skylights are the best option. Think about energy efficient bulbs; while they can take a little longer to get bright, they’ll be far better in the long run, especially if you need to keep them on all day. Think about your light placement. Sometimes it’s not the power of the bulb that needs adjusting, it’s the positioning. If you use lamps, place them in a triangular formation to maximize light projection. In addition, think about repainting the office. White walls and ceilings will reflect light better than dark colour schemes and could significantly brighten up the space. Creating an energy efficient office isn’t just about reducing bills and protecting the environment, it can also positively affect business. Many companies will only choose to work with people who have green initiatives, even if they are more costly. Set yourself targets and try to keep everyone motivated. Consider assigning one of your employees the role of energy coordinator and make them your “eyes in the office.” This will help to keep your team aware of wasting energy. Image Caption: Installing an air conditioning system can significantly reduce bills and emissions.